As long time Co-op members ourselves, we understand and value(cherish) the importance of Co-operative housing (in today’s society). We realize that each Co-op is its own community amongst the community, and as such may have needs that we understand better than most in terms of its mechanical maintenance requirements. We embrace the Co-op philosophy and work with the members, liasons, BOD’s and Property Managers as required to meet the Co-op’s plumbing and heating needs with a respectful, Co-operative spirit, always mindful of budgetary concerns while providing the great service a Co-op deserves. Trinity PHG works with some of the Lower Mainland’s most respected PM Firms. We realize how busy a PM is, and do whatever we can to make his/her life easier. Just give use the details and let us arrange appointments and repairs with courtesy and professionalism. We know that when a PM calls/emails us a job, that they want it done in a timely, effective manner. We provide detailed updates on job completion and accurate, prompt billing. After all, we represent your Firm, and your clients deserve great service. Due to our heavy workload and commitments to our regular accounts, we can only accept homeowner/private work requests on a case-by-case basis if at all. Non-account customers/individuals may require a deposit/full payment prior to starting any job. We accept e-transfer. We regret any inconvenience this may cause. As a restaurant, your plumbing, heating and gas equipment must work properly, or you could lose business. 24 hours per day, 7 days per week Trinity PGH can respond to your needs. Whether it is a leaking pre-rinse spray, upgrading or adding a gas appliance, or a clogged drain, Commercial kitchens/restaurnts present unique challenges that we are experienced in. Call us for professional service so you can focus on your restaurant and keeping your customers/staff happy. If you own-operate your own building, you know how frustrating plumbing-heating problems can be when it comes to keeping your tenants happy, and maintaining your investment. Let Trinity PHG work directly with you, your manager or tenants to solve the problem quickly and hassle-free, without paying inflated prices. Our uniformed technicians are clean and respectful with whomever they are dealing with, and will take the stress out of your next mechanical problem. Apartment buildings, warehouses, stores, restaurants, etc. are all part of our expertise. If you need plumbing and heating service at your facility and have special equipment or particular needs, we can help. We only hire patient, skilled workers who are willing to accomodate a customer’s needs and do it with diginity and compassion. We can source hard-to-find parts or special-order parts quickly, and are well versed in handicapped plumbing requirements. If you need personal, professional service at your facility, call Trinity PHG. 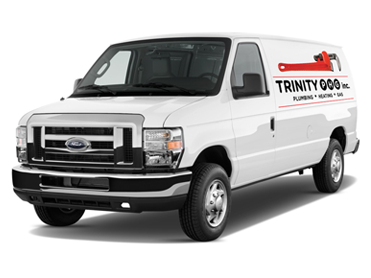 If you’re a small to medium sized contractor and need reliable plumbing/heating help, consider Trinity PHG. We will look at permit and non-permit renovations and can provide reliable attention to your needs, not leaving you guessing if your plumber will show up. We offer professional tradespeople with professional equipment to reflect positively on your job. Basement suite rough-ins to high-end finishing are no problem for Trinity PHG. Contract or hourly, we provide.